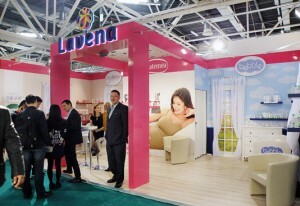 For а third year in a row, Lavena participated as an exhibitor at one of the most prestigious and most visited cosmetic forums – Cosmoprof (Bologna, Italy). This year, Lavena again surprised its partners, by presenting new brands for 2015 – a cosmetics face range with natural extract from Bulgarian Rose Damascena – My Rose and a new brand designed for foot care – Footprim. Again the focus was the baby cosmetics brand Bebble – from the first day after birth – and the care for pregnant women and new moms Maternea. 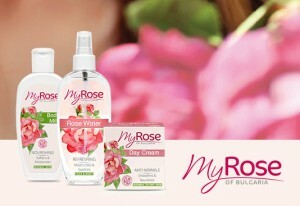 At the start of 2015, Lavena launched its new brand My Rose – face care with natural extract from Bulgarian Rosa Damascena. Thanks to its proven soothing and regenerating action, combined with a pleasant and delicate scent, the natural rose extract is highly valued around the world. My Rose combines the wealth, derived from the beautiful flowers, with a gentle design in a cosmetic series for comprehensive care for face (washing, cleansing, and nourishing) and body. Following the market needs and the opportunity to offer a quality solution, Lavena created Footprim – care for the skin on the feet. 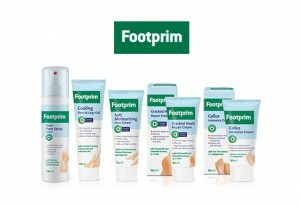 For your feet to be healthy and beautiful, Footprim fights the most common problems – perspiration and unpleasant odour, dry and cracked skin, calluses and heavy legs. The products in Footprim are suitable for use also by diabetics.